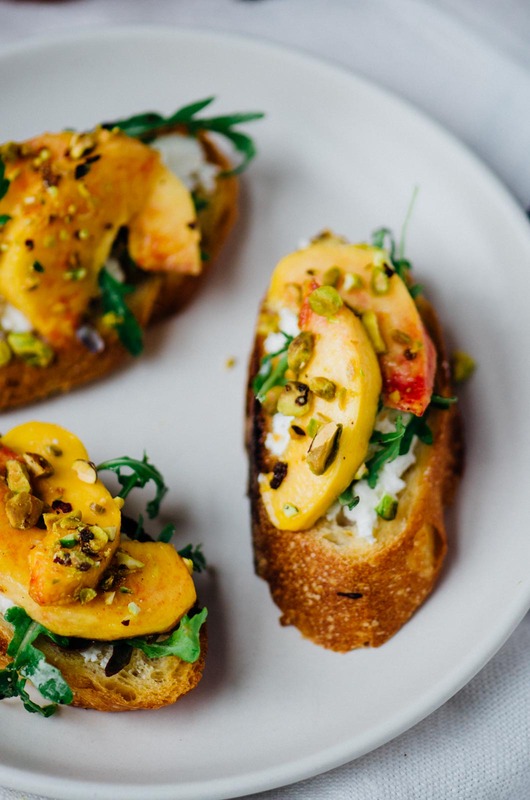 Pickled fruit is a truly underappreciated condiment. Finding the perfect balance of salty, sweet and sour can add a depth and dimension to a dish that is unbeatable. 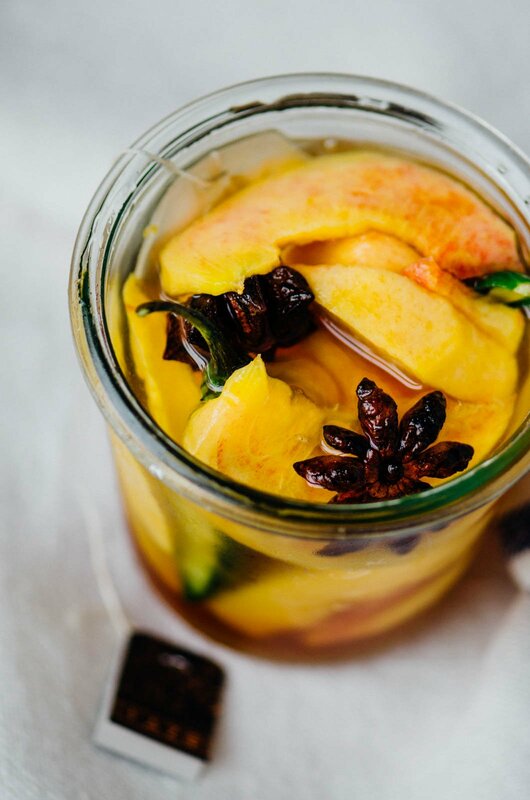 I experimented a while back with pickled blueberries, but I think that I love these Chai pickled peaches even more. The best part of treating fruit this way is that the brine is delicious when added to a cocktail once all the fruit is gone. A bit of this pickling liquid with some plain soda water would make a great mocktail. 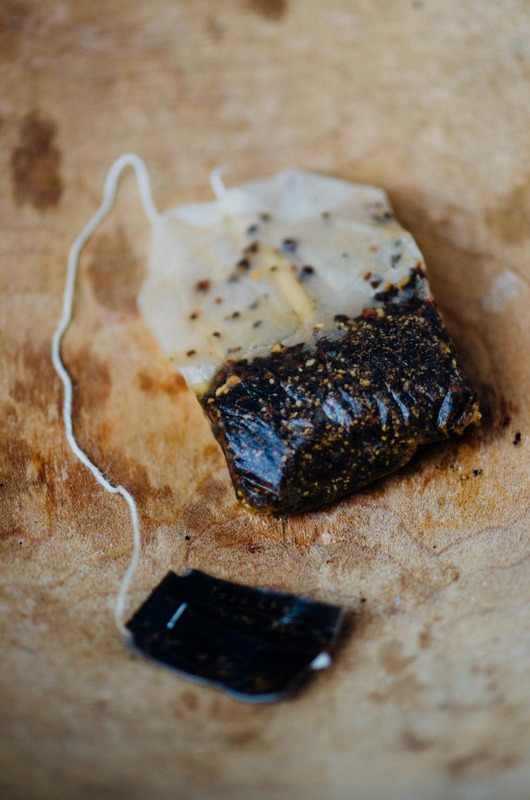 Using tea bags is an easy way to flavor your brine and creates endless flavor possibilities. Make sure to the best quality tea you can find for the best and most intense flavor. 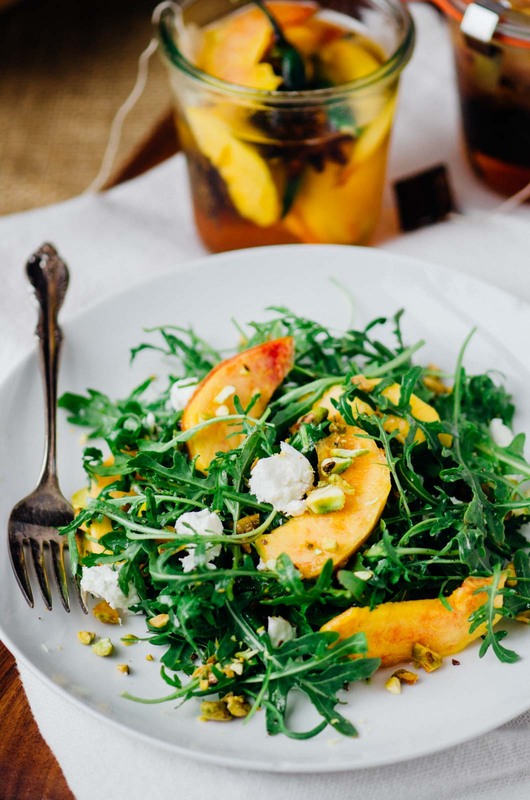 Use peaches that are still a bit firm so that they retain their shape and texture. I included some jalapenos for a little heat but if you don’t care for spicy you can certainly omit them. I packed them into three pint-sized containers, but you could put them all into one large jar. As far as how you should use these beauties, they are great layered onto a crostini or in a salad. 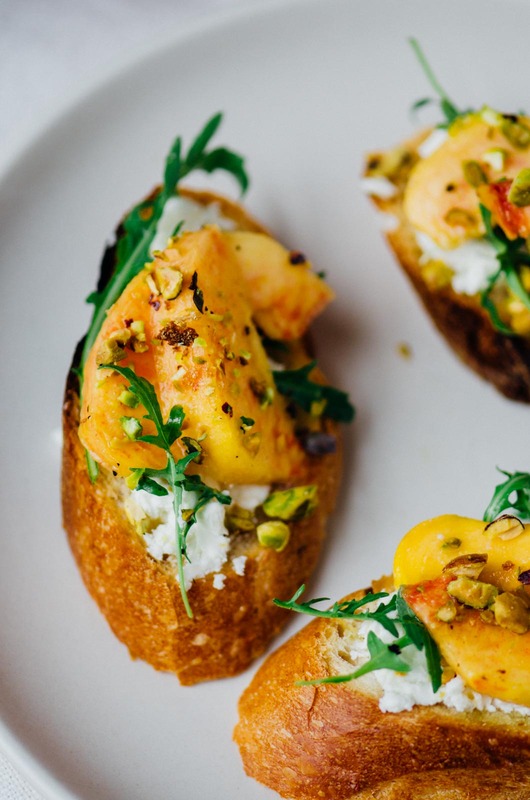 I paired them with some creamy goat cheese, arugula, and pistachios. 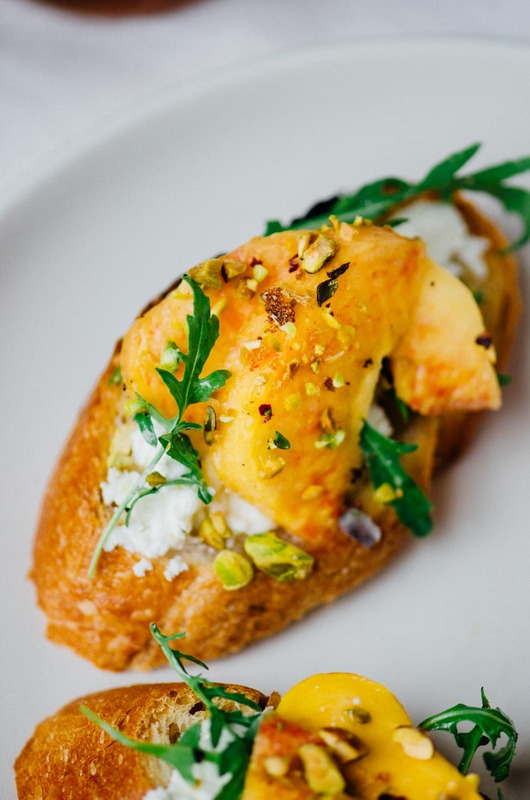 For a vegan version try them on top of some homemade almond ricotta. You don’t have to keep strictly savory either. 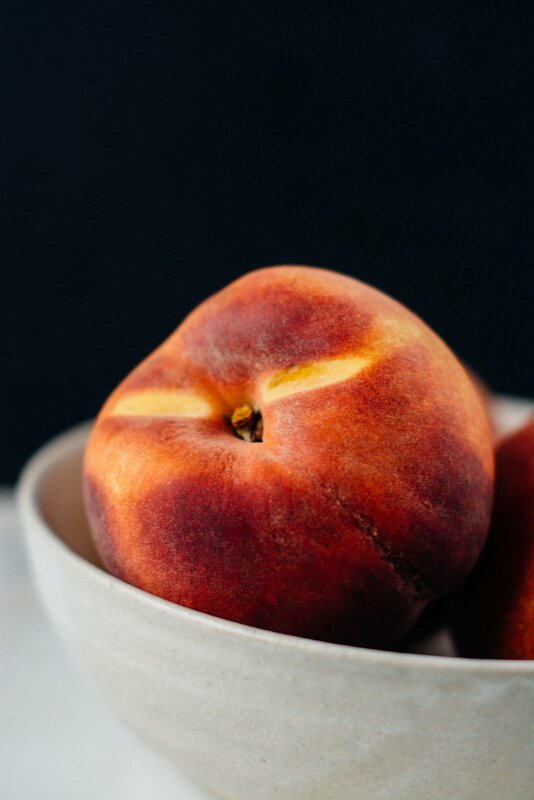 The peaches are great on top of your morning yogurt bowl or on top of some vanilla ice cream for a simple dessert. They will keep for up to 3 weeks in the refrigerator, so that gives you plenty of time to figure out the best way to use them. Prepare and ice bath in a large bowl. Heat a large pot of water to boiling. Using a sharp knife lightly score an x into the bottom of the peaches. Lower the peaches into the boiling water and let sit for 30-45 seconds. Immediately plunge the peaches into the ice bath and the skins should slide right off. 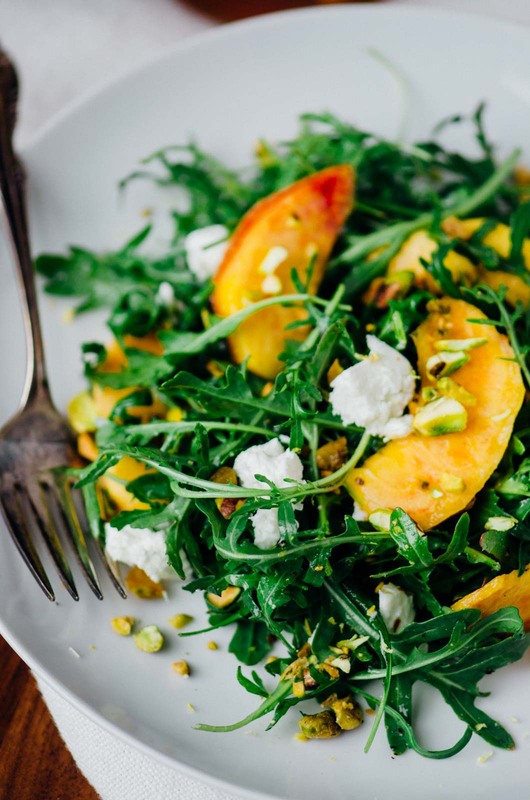 Slice the peaches into wedges, discarding the pits. 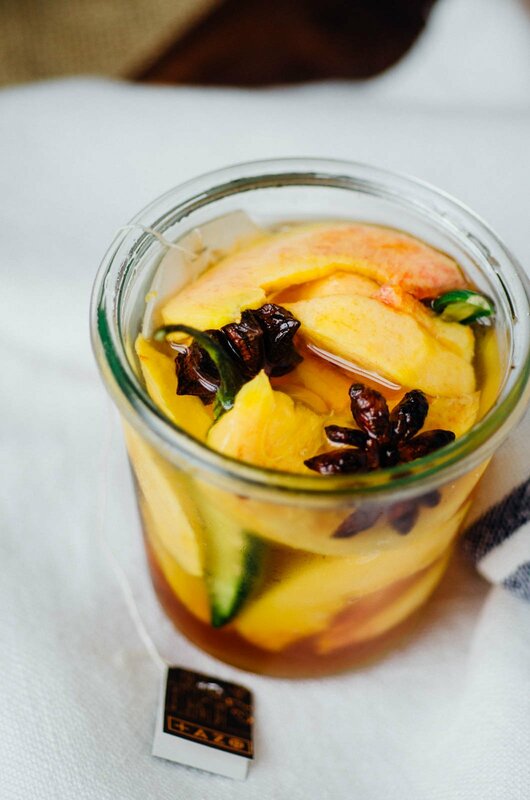 Divide the peaches into glass jars along with the peppers, star anise, cinnamon, and tea bags. Combine the vinegar, water, sugar, salt in a medium saucepan and bring to a boil, stirring the dissolve the sugar and salt. Pour the hot liquid over the peaches, cover and refrigerate. Remove and discard the tea bags after a day. 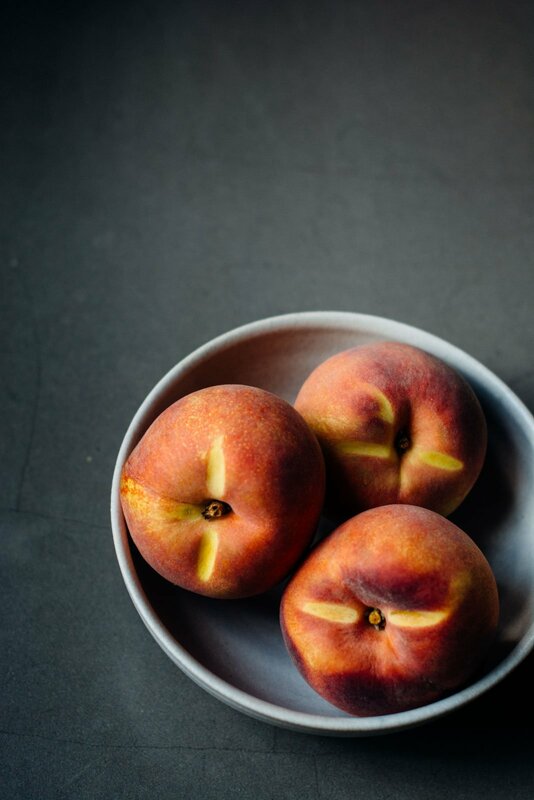 The peaches will be ready to serve after a day or two and will continue to develop in flavor the longer they sit in the brine. They will keep for up to 3 weeks.